The year? 1938. The weather? The worst you’ve ever seen. 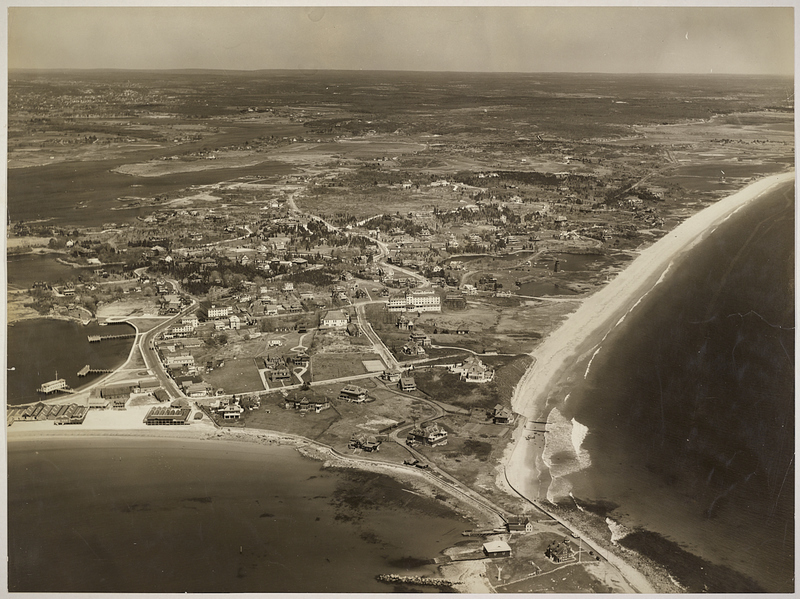 The hurricane that hit Rhode Island shook the coast to its core, wreaking havoc on its beaches. Watch Hill was no exception. Watch Hill in Westerly, RI, one of Rhode Island’s finest beaches, is best known for its fancy houses, quaint town area, and the occasional Taylor Swift sighting. But Watch Hill’s history begins much earlier than modern pop stardom. In 1845 the now-called Watch Hill Inn was built, and later in 1868 the hotel Ocean House followed. In 1867, the beach welcomed a carousel, and it still runs today. In fact, you can still take a ride on the carousel. A large number of homes were built around the beach to provide accommodations for tourists and residents. 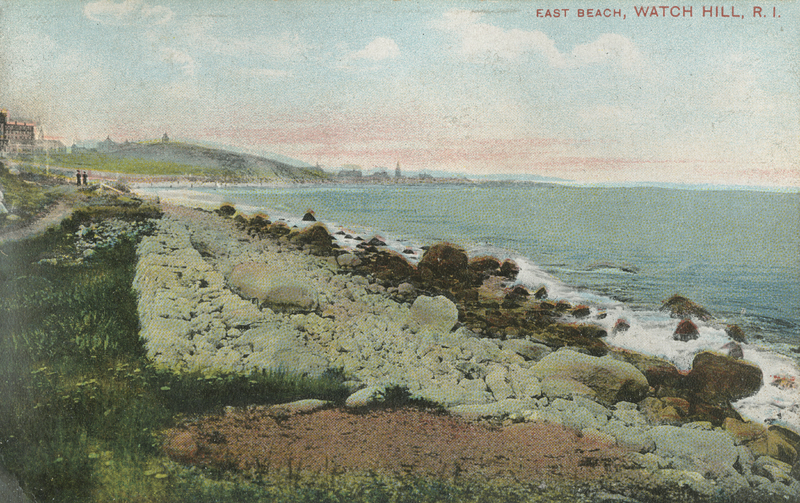 A beach guide published by railroad and passenger companies from around Rhode Island makes mention of, “great hotels and the ornate villas,” by Watch Hill, a clear sign of the beach’s popularity. Such hotels and villas exemplify the wealthy status associated with Watch Hill. 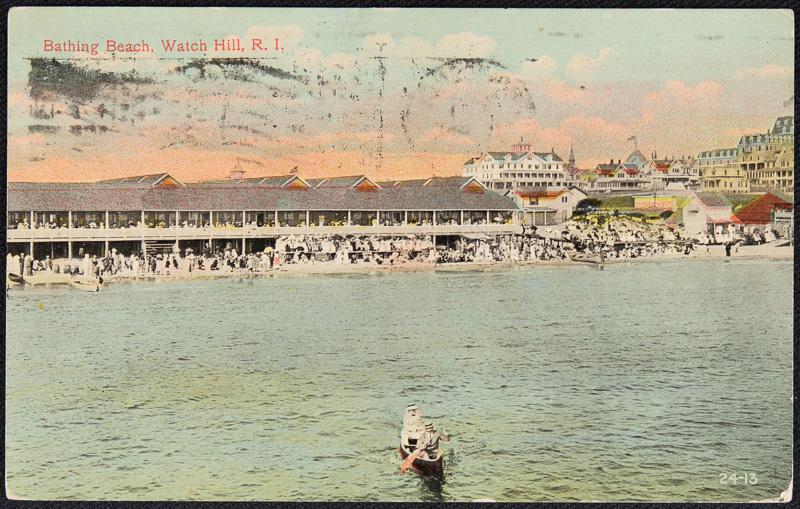 While the beach had its fair share of day trippers, those who permanently resided at Watch Hill were known to be from wealthy families, and so the beach became known for its patrons’ statuses. Even on the drive around Westerly one can see the beautiful waterfront mansions of Watch Hill’s residents. Watch Hill’s natural aspects helped make it the perfect summer locale. The same railroad company guide published on Watch Hill claimed that Watch Hill’s natural advantages were well known even in colonial times, stating that, “Even in those early days of Indian and colonial wars this locality had attained a fine reputation for healthfulness of situation, beauty of surroundings, and delightful natural attractions generally.” In addition to Watch Hill’s natural disposition, industrialization and modernization played their part on the coast. The famous carousel on the beach became powered by water as of 1897, a clear sign of the industrialization of Rhode Island throughout the late 19th century. But nature overpowered modern technology when disaster struck in 1938. The hurricane hit the coast hard. 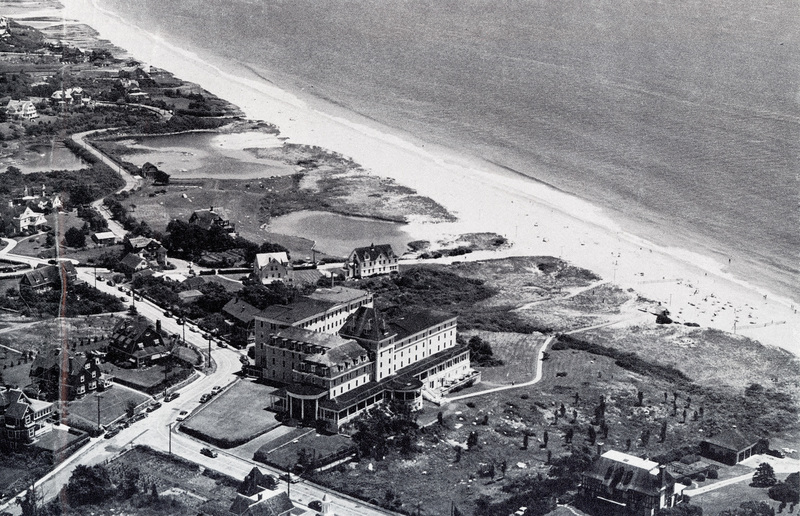 The Watch Hill Inn, Ocean House, and the carousel both suffered extreme damage, but ultimately remained standing. The hurricane ruined several seats on the carousel, but since 1938 the carousel has gone through several restoration efforts and is visitable to this day. 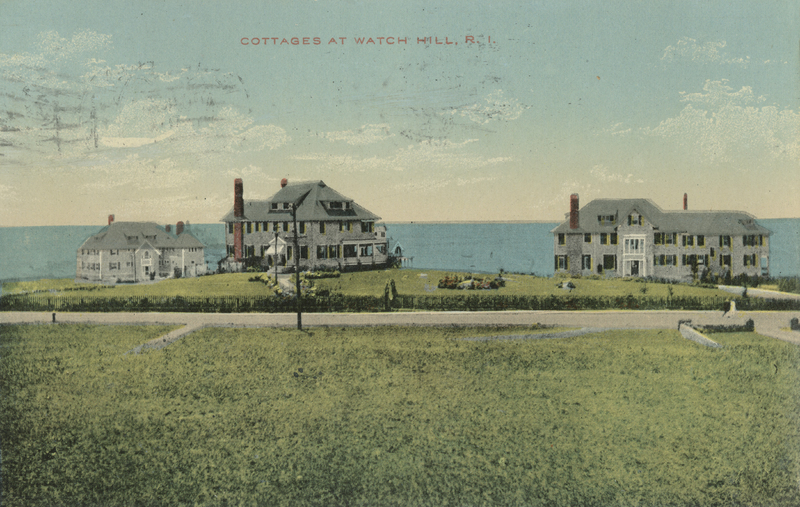 The Watch Hill Inn as well as the Ocean House lasted through the hurricane, and are now luxury hotels for Watch Hill’s visitors. 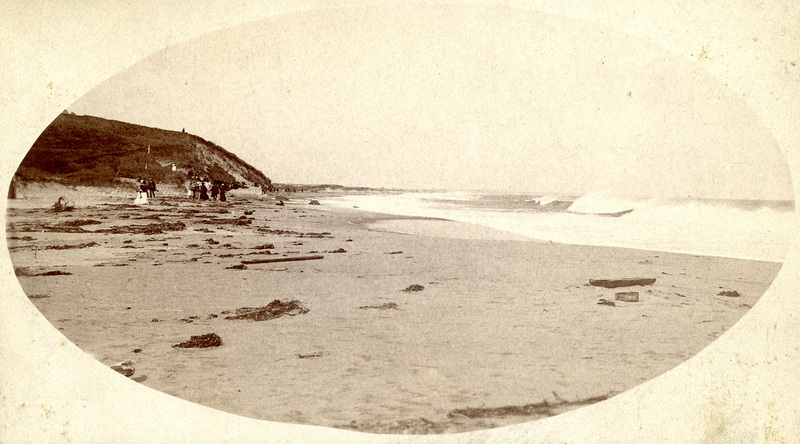 Today, Watch Hill beach is still regularly visited by locals and tourists alike. Popstar Taylor Swift’s lavish mansion sits alongside the coast, and diehard fans of Swift visit the beach, hopeful to spot the star. But celebrities aside, Watch Hill is a poignant example of continuity in Rhode Island history. From the early beginnings during colonial Rhode Island to its carousel and clambake days to its new ‘Taylor Swift era,’ Watch Hill remains a staple location in Rhode Island for summer relaxation. 151 Bay Street, Westerly, RI 02891 ~ Check Watch Hill’s website for the beach’s hours. Admission rates apply and are also available on the website. If you have the chance, drive or walk around the nearby neighborhoods to Watch Hill. The homes are interesting to look at, from the beautiful architecture to the perfectly trimmed hedges. For parking, on street parking is free and for two hours at a time. If you’re staying longer, there are several parking lots with paid parking nearby! Admission to the beach is not free, so make sure to plan accordingly. Janie Merrick, “Hurricanes and Hotels at Watch Hill,” Rhode Tour, accessed April 23, 2019, http://rhodetour.org/items/show/330.